The "Pearly Gates of Heaven Bracelet" is based on the Bible passage, "And the twelve gates were 12 pearls; each one of the gates was a single pearl. Revelations 21:21." This is a fabulous faith-based keepsake bracelet as a reminder that God and his angels are always with you, through good times and bad. She would make a wonderful sympathy bracelet for one who is grieving. 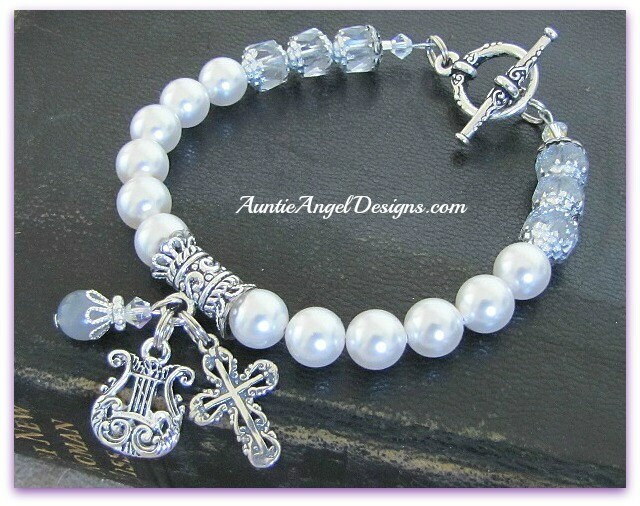 This old-world-style Christian bracelet is strung on wire with 12 genuine white Swarovski pearls, clear crystal-faceted cathedral beads, and bright silver and antique silver bead caps. Dangling from the pewter scroll-like bail is a one-sided intricate sterling silver cross, a double-sided silver-plated angel's harp charm, and a dangling moonstone gray bead topped with a genuine crystal-colored Swarovski bicone bead. Swarovski crystal bicone beads finish the bracelet at the classic pewter heirloom-style toggle clasp. 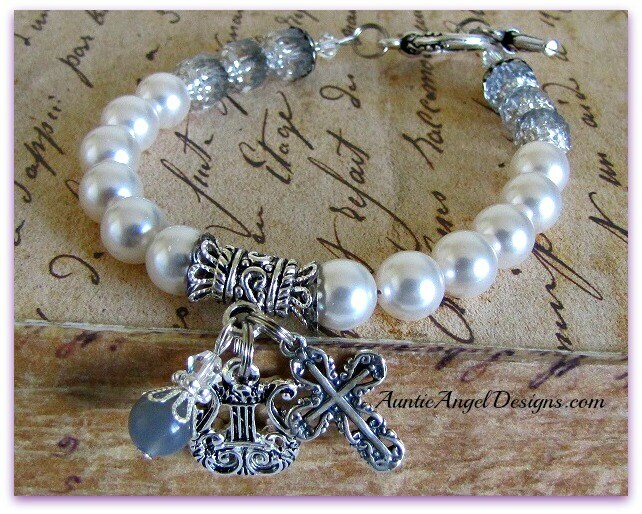 This stunning "Pearly Gates of Heaven Bracelet" comes in its own gift box with ribbon and is ready for gift-giving. 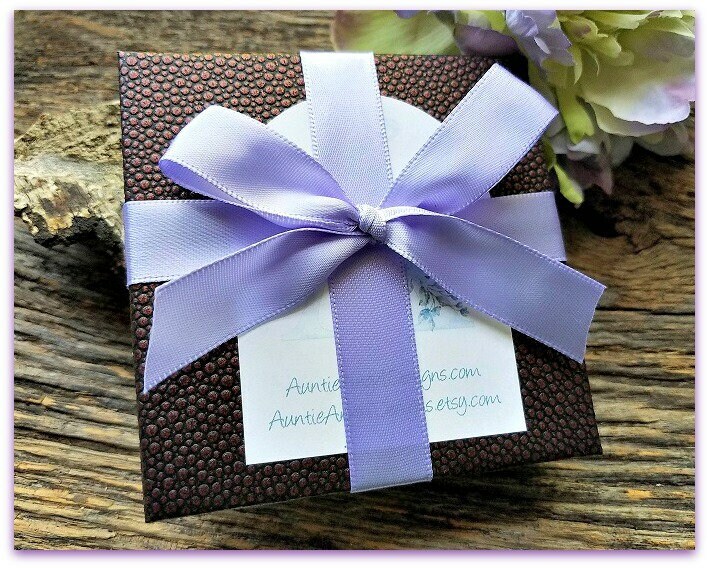 This bracelet was a gift, and exceeded my expectations! I was very happy with how well made the bracelet was. The recipient was moved to tears when she saw the bracelet. I was also impressed with the quick international shipping! Thank you very much!